Worms Treatment Prevention Cleansing in adults and children traditional medicine preparations from worms buy store of traditional medicine. Get rid of worms at home. Diagnosis and treatment of some helminths. In the General structure of morbidity parasitic diseases take the 2nd place after acute respiratory diseases and influenza. In your body of a human mogit live about 150 different species of worms. Of them, within the CIS detected 67 species of helminths that are able to infiltrate cheloveki the body and live in it for a long time. On the territory of Ukraine was found about 30 species of helminths. However, their range is constantly expanding, owing to the prevalence of contacts between the two countries (especially Asia and Africa). The frequency of detection of helminths and protozoa depends not only on the individuality of the prevention of tension of the immune system, but also from a person's age. After repeated infections with the dwarf tapeworm, Ascaris and Trichinella begins to develop specific immunity, which is why the frequency of these invasions are highest in children and decreases gradually with the age. Adults most often infected with: wide lentetsa, bovine and pork tapeworm, cat Fluke, which is associated with relatively great duration of individual life and helminth respectively - accumulation of invasion throughout life. Superimpose is re-infected by the same worms, which leads to a reduction in the percentage of sprouted parasites and reduce the duration of their lives. Worms, at the same time, do not reach sexual maturity (there is relative immunity). When parasitic invasion and migration of parasites (inside human body) work and ordinary obsesione the mechanisms of immunity, such as phagocytosis and encapsulation of parasites, lysis, etc. They help to reduce the number of Mature parasites, their negative impact on the tissues of various organs (migrating) and respectively - the total damage from worms. Its development characteristics, helminths can be divided into bioelement and soil-transmitted helminths. Soil-transmitted helminths is the helminths which develop in the human body without changing owners and the initial stages of development which are in the external environment. These include Ascaris, whipworm etc. Bioelement is worms, which as their development required a change of owner. In this case, man may be, as intermediate and final host of this species of helminth. These include Trichinella, dirofilaria, cat Fluke, tapeworm most. Man is the final host for broad tapeworm (intermediate copepod crustaceans and fish) beef or unarmed tapeworm (the intermediate hosts are cattle – Finns meat), opistorchis or cat Fluke (intermediate – clams and fish of carp breeds), etc. Intermediate host is the man for this helminth, as the Echinococcus. However, possibility a person is infected with one or another kind of worms exposed to certain fluctuations. Among the helminths are obligate parasites (when ingested them invasive forms necessarily infection). Such worms include the Ascaris, necator, broad tapeworm, unarmed tapeworm or bullish etc. Facultative parasites to humans and, accordingly, transit parasites are Ascaris of the pig, Ancylostoma dog, etc. Worms have the ability to parasitize in all organs and human tissues, however, the most frequent place of their localization is the intestines. This is a favorite place of localization of helminths. Bovine and pork tapeworm, broad tapeworm (a parasite with a length up to ten meters) and are recorded in the upper portion of the small intestine. In the same place and a parasite, Ascaris. Dwarf tapeworm (length of 5-8 cm) is a parasite in the lower third of the small intestine. Whipworm in the large intestine. Opisthorchis in the bile ducts of the liver and pancreatic ducts. The distribution of helminths in the digestive tract, in search of the most favourable conditions for their development, it provides not only the possibility of individual survival, but also creates conditions for the development in one person of several species of helminths. Research methods for the presence of worm infestation are quite laborious and do not always give a sufficiently accurate answer. According to statistics 70% of the population of the former CIS affected by various types of worms. Quantum diagnostics gives the figure of 80-90% of those who sought medical help. About 50% of the people to the diagnosis considered myself quite healthy. In identifying the various helminths rarely have only one type of parasites. In most cases, one person has from 2 to 5 kinds of helminths and protozoa. This is due to the similarity of the ways to get worms in the human body (contaminated with helminth eggs products not subjected to heat treatment or poorly heat treated). Very rare to find an invasion of 6-8 different species of parasites. Different worms and feeding methods. Ancylostoma and whipworm, necator American are obligate hematophages (feed on blood). Pinworm is an optional hematophages (not necessarily feed on blood). Ascaris tapeworm, the dwarf tapeworm eats the food of the host. Tapeworms (bovine and porcine cepni, a tapeworm) feed using external digestion. Trichinella eat stroma of the intestinal villi, which will result proishodit violation of the process of absorption of nutrients is proportional to the intensity of infestation. sensitization and increases allergic tendencies to different allergens. Developed the General scheme of de-worming treatment, which is conventionally divided into several stages. The first stage. At this stage of the preparatory process for the removal of worms. With this purpose, remedies that have diuretic, choleretic, laxative activity (which help to bind and remove toxic products of metabolism of helminths in the intestine. Second stage. At this stage, in fact, used anthelmintic agents (due to the ongoing reception of funds of the first phase of therapy). This stage may consist of several sub-steps, whose number depends on the species of helminths or their combinations and the number of parasites. Individual selection of therapeutic agents, as well as, the combination, with the aim of potentiation of therapeutic agents for infestations of various species of helminths and protozoa, to obtain the maximum therapeutic effect. Application of agents with immunostimulatory activity, saturate the body with vitamin A makes it possible to increase nonspecific resistance of the human body (including parasitic invasion). Effective degelmintizatsija not only leads to improvement of all processes of digestion, but also reduces antigenic overload on the liver absorbed from the intestine of toxins, reduces or eliminates the possibility of the emergence and development of various allergic reactions. Concluding from the above we can understand that the identification and gradual removal of colonizing the gastrointestinal tract of a human parasitic and helminthic infestations individually selected by means of synthetic and vegetable origin leads to normalization of the liver and gastrointestinal tract, promotes the transfer to stable remission of many chronic diseases of other organs and systems, eliminate allergic background, enhance immunity, improve quality of life. Body Cleansing Cancer Diabetes Infectious Skin Diseases Thyroid gland Recovery pH of the body Diseases of the gastrointestinal tract Strengthening bone Zeolite Sorbent natural Properties Recommendations buy to store of traditional medicine. The effectiveness improving of treatment prevention at home by health extracts. 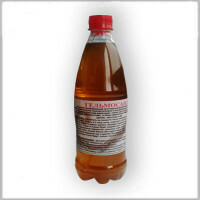 Worms Treatment Prevention Cleansing in adults and children Anti-Parasitic Tincture Germosen recommendations properties buy store of traditional medicine. Get rid of worms by folk remedies. Worms Treatment Prevention Cleansing in adults and children Anti-Parasitic Collection Germosen recommendations properties buy store of traditional medicine. Get rid of worms at home.